2019 is setting up to be a year to welcome brass accents back into our homes. Brass is everywhere right now, from ultra high-end designs (think Kelly Wearstler, or Roman and Williams) to local home decor stores near our home. Brass is surprisingly warm and subtle alternative to the expected steel accents. This luxurious metal used to signify conspicuous consumption and showiness. Now it feels traditional, nostalgic, and homey. But remember, don’t overdo it. Nothing that is too much will look good, anyways. Wave goodbye to the tech-obsessed decor in 2018 design trends, as we move towards fresh, natural materials in 2019 such as stone, copper, concrete, light woods, and granite. These elements will help bring an organic and serene ambiance. Four-Poster Bed or Canopy Bed, is now on the top list of 2019 bedroom design trend. Though they haven’t been in vogue since the late 80’s, there has been a steady rise in demand on grand canopy beds because people are seeking out the ultimate comforting oasis. To make one work in your bedroom, choose a minimally minded canopy bed that is quiet and slim to ensure that it won’t take up too much space or ever go out of style. 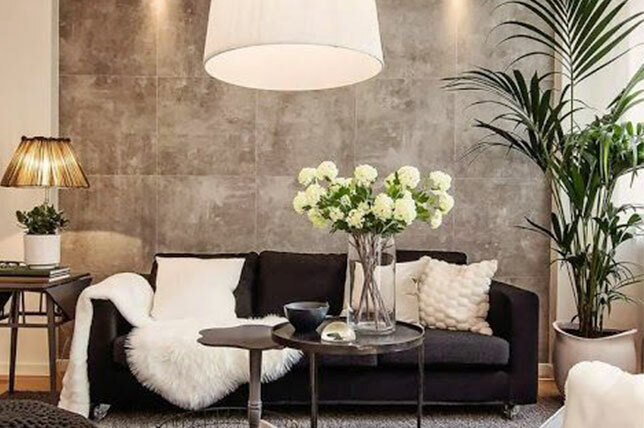 Though monotone can help you avoid making spaces feel overwhelming, designers believe that 2019 will be a year where bolder colors are preferred. Richer hues throughout your home can make your basic furniture and decorative decor pop out. Go for for dramatic reds, statement pinks, bold yellows and organic greens.